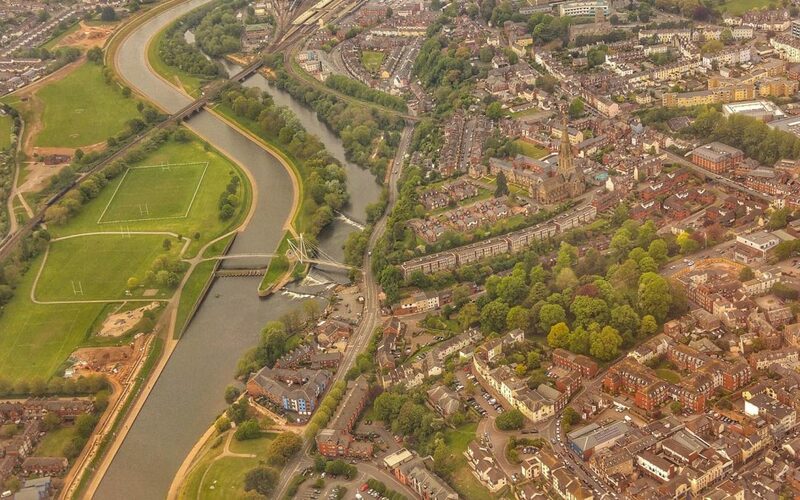 The value of green and blue spaces in our towns and cities cannot be overestimated and must be a priority for planners working to change our towns and cities over the coming years, says Nick Paling of the Westcountry Rivers Trust. The natural world plays a key role in maintaining our health and well-being, our productivity and economic prosperity. These precious ‘green and blue spaces’ can improve air quality, reduce localised flooding and provide space for wildlife. Being in nature improves our quality of life: we are mentally and physically healthier and our communities are more cohesive, safer, and more vibrant. Urban nature is under pressure. We are losing parks, gardens, allotments and other informal greenspaces at an alarming rate. There is little or no legal requirement for developers to incorporate high quality green spaces or natural water management features, known as Sustainable Drainage Systems (SuDS), into their designs. I have been hugely inspired by the efforts underway in places such as Leicester, Sheffield, Cardiff and London to use natural solutions to make these urban landscapes greener and more resilient. In Manchester I am working with the City Council, community groups and local environmental organisations to bring more natural features into the city. Local groups are working with the City Council to create a myriad of little pockets of nature in built-up neighbourhoods across the city. These include communal food growing spaces, new places to interact with and learn about nature and even a network of roof-top beehives that are used to make honey beer. In the South West, we often feel that we are immune to the issues facing other parts of the country, where urban and rural communities do not have enough access to their natural environment. After all, we are surrounded by iconic countryside – from the tors of Dartmoor, to the rugged Devon and Cornish coastline and the green rolling Somerset hills. While many of us benefit from the region’s spectacular natural heritage, there are many other people living in the South West whose daily lives are chiefly played out in our towns and cities and who are isolated from the natural world. That is not to say that there is not a great ambition in the South West to make our towns and cities greener and more resilient. The Plymouth City Council Green Infrastructure Plan is heralded as an exemplar and Cornwall Council has a number of projects, such as Green Infrastructure for Growth, to increase the nature in towns. However, relatively few new developments in the South West incorporate high quality natural spaces and only a handful of projects seek to embed blue and green features into our urban landscapes. Local councils and developers are about to embark on an ever more intense round of house building. We have perhaps one last opportunity for a generation to create richer, greener, more sustainable and more resilient urban communities that work to nurture and protect us all long into the future. There is a very real risk that the value of nature in towns and cities is overlooked. We may find South West communities falling behind those in other parts of the country where ‘urban greening’ is transforming the lives of people and communities with the greatest needs. As well as being unhappier and experiencing poorer health, people in these communities also face a higher risk of flooding, and poorer air and water quality.One way we can turn this around is to look at the potential for more blue spaces. For centuries rivers have been at the heart of the Westcountry way-of-life. Indeed, many of our communities – from small fishing villages to our great market towns and cities – are only where they are because of our fundamental need for water. However, many rivers now lie underground, reduced to little more than pipelines or sewers. There is a growing ambition to bring these lost, forgotten rivers back to life. Cities across the world have been utterly transformed by opening up these rivers and putting them back at the heart of the community. One of the best examples is the regeneration of Lewisham town centre, which has seen the River Ravensbourne put back at the heart of the community. Newton Abbot is one town in the South West that could be transformed by a similar approach. The River Lemon now runs through the town centre in a concrete channel, but just think how the community would be transformed if it was put back at the heart of the town. 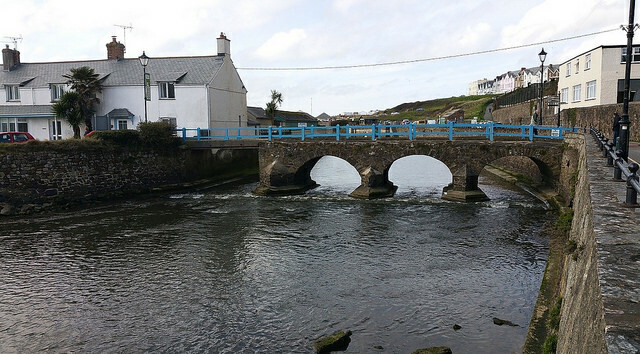 The Westcountry Rivers Trust is working to engender a greater sense of stewardship among local groups and businesses to help ensure that our urban rivers and green spaces are cared for and that they are put back at the heart of new and old developments alike. One example, is our work with Somerset County Council and local communities to create new natural features across Taunton and other Somerset towns. In a project called Sponge 2020 we are developing innovative ways of better managing surface rainwater, such as rain gardens, ponds, swales and constructed wetlands. 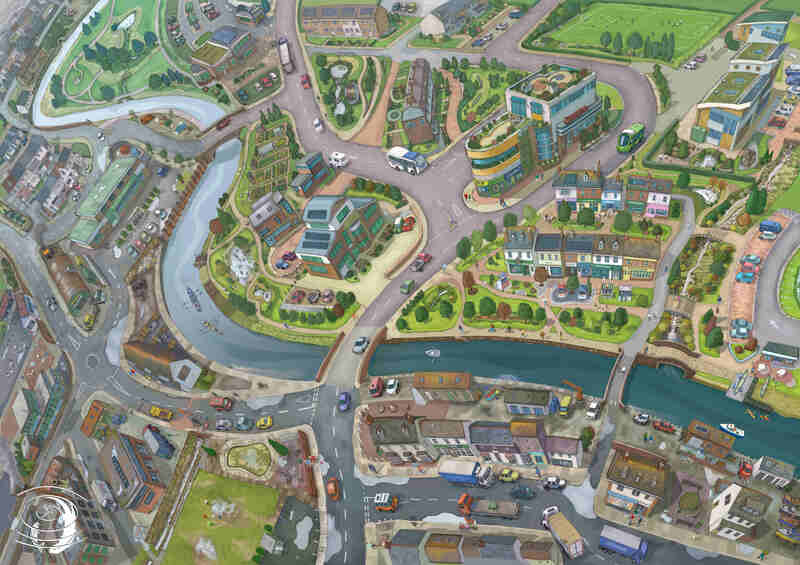 The aim is to make places a little greener, more resilient to flooding and happier. Reconnecting people with their natural environment benefits everyone. We know that when people have access to green spaces, they are more likely to take part in a whole host of cultural and social activities – whether that is hosting a festival in the community gardens or joining a sports club. Let’s start taking nature seriously so we can all have happier and healthier places to live and work. Nick Paling is Head of Data, Evidence and Communications at the Westcountry Rivers Trust.